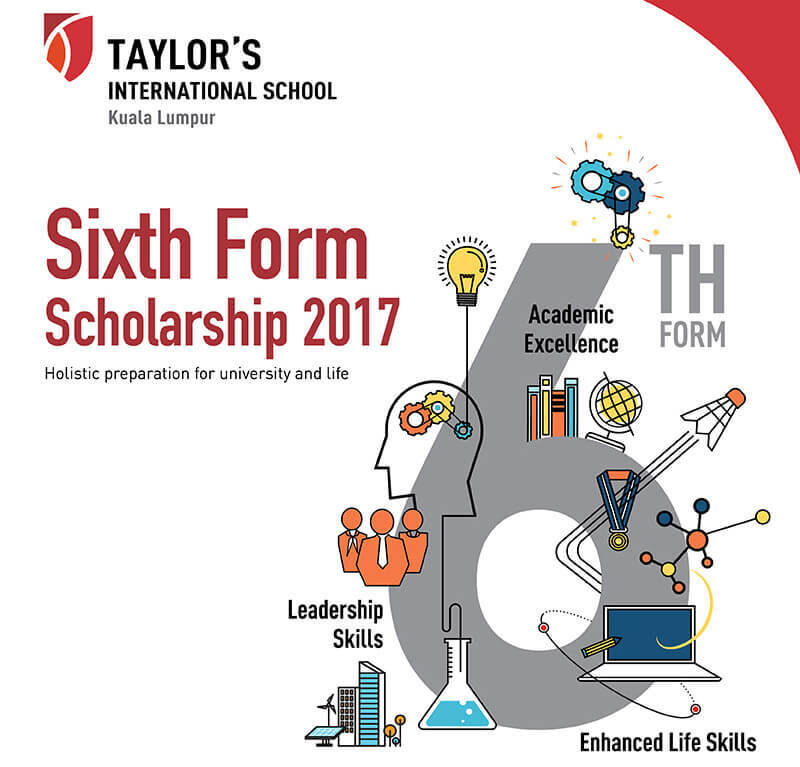 To celebrate the commencement of the Sixth Form Programme, Taylor’s International School Kuala Lumpur is offering scholarships for the January 2017 intake. This is a 2-year scholarship programme for year 12 and 13, open to all Malaysian students who are currently sitting for their IGCSE or SPM examinations in 2016 and are keen to enrol in TIS Sixth Form Programme in January 2017. The Sixth Form Programme prepares students for academic excellence in A Levels and equips them with leadership and essential life skills for university and life. These scholarships are offered to high achieving students interested in undertaking this exceptional pre-university programme with TIS Kuala Lumpur. Up to 100% waiver on application fee, registration fee, tuition fee, technology fee as well as the security deposit. 1. Malaysian students who are currently sitting for IGCSE or SPM examinations in 2016 (enrolling for January 2017). 2. Students who are at least 16 years of age on entry to Year 12. 4. Students with active participation in co-curricular activities and outstanding records of service to school or community. Video can be submitted in .mp4 or .mov format. 2. School recent reports (including IGCSE or SPM mock/trial exam results) and certificates (all must be certified copies). No. 9, Jalan 1/75C, Off Jalan Pria, Taman Maluri, 55100, Kuala Lumpur. 0 Komentar untuk "Taylor’s International School Kuala Lumpur – Sixth Form (A Levels) Scholarship 2017"